Oxidative damage, through increased production of free radicals, is believed to be involved in UV-induced cataractogenesis (eye lens opacification). The possibility of UVB radiation causing damage to important lenticular enzymes was assessed by irradiating 3 months old rat lenses (in RPMI-1640 medium) at 300 nm (100 μWcm-2) for 24 h, in the absence and presence of ascorbic acid, α-tocopherol acetate and β-carotene. 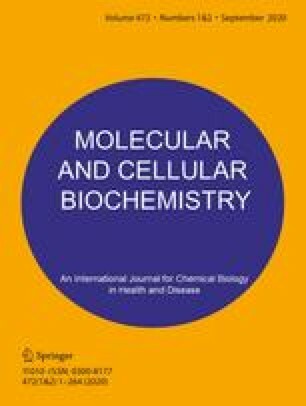 UVB irradiation resulted in decreased activities of hexokinase, glucose-6-phosphate dehydrogenase, aldose reductase, and Na, K- ATPase by 42, 40, 44 and 57% respectively. While endopeptidase activity (229%) and lipid peroxidation (156%) were increased, isocitrate dehydrogenase activity was not altered on irradiation. In the presence of externally added ascorbic acid, tocopherol and β-carotene (separately) to the medium, the changes in enzyme activities (except endopeptidase) and increased lipid peroxidation, due to UVB exposure, were prevented. These results suggest that UVB radiation exerts oxidative damage on lens enzymes and antioxidants were protective against this damage.